Prepare to die. Gently, this time. As far as I’m concerned, Harebrained Schemes could’ve made Shadowrun Returns spin-offs forever. I enjoyed the 2013 original, I fell in love with the Dragonfall expansion, and I had a brief affair with last year’s Hong Kong entry. But they’re taking a break. To make Dark Souls. Okay, not really. Dark Souls III is still coming out of From Software, and it’ll show up in April as planned. Harebrained’s new game Necropolis is pretty damned similar though. In an age of “It’s like Dark Souls plus [BLANK],” Necropolis fills in that [BLANK] with—of all things—an N64-era mascot game. It’s vastly prettier than any N64 title, sure. 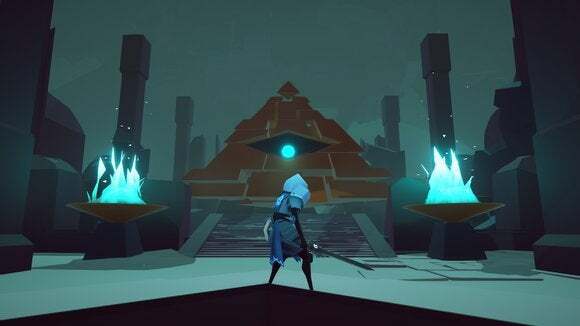 But Necropolis is just the latest game seemingly reviving the polygonal art style of that early 3D era. And the rest? Dark Souls. 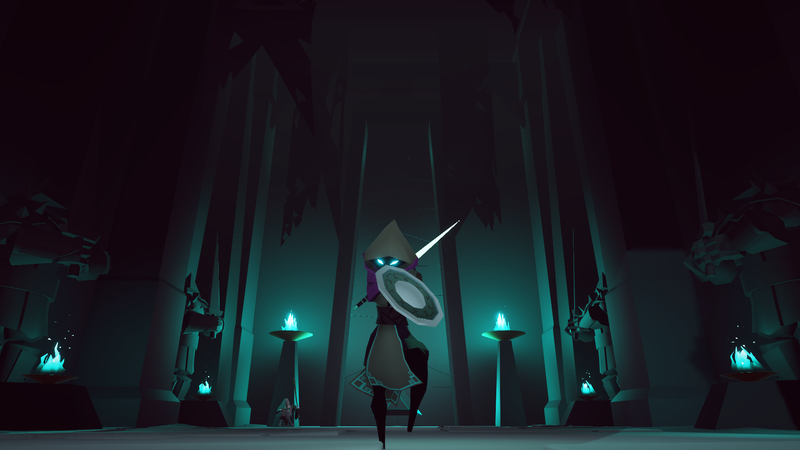 Your goal is to reach the end of a procedurally-generated, ten-level dungeon. It is difficult. Everything wants to kill you. You’ll fight your way through hordes of monsters pretty much the same way you’d fight through the Undead Asylum. Heavy and light attacks are mapped to the right triggers, block (or a second weapon) to the left. Once you’ve committed yourself to an attack, you’re locked in. It’s a pretty solid one-to-one translation of the Dark Souls mechanics to a different universe, minus the crazy boss fights and plus a start-over-when-you-die mechanic. The biggest surprise is, I think, that it’s coming from Harebrained. The studio’s not that old, but I’d already sort of pegged them alongside Obsidian—a writing-heavy studio, interested in dialogue and world-building and the heavy hand of the storyteller. Necropolis is the opposite of all that. There was a bit of humorous dialogue in what I played, but by-and-large it consisted of implied stories, of grasping at straws from the environment. I assume that keeps up throughout, though I didn’t make it past the first level. Now for the bad news: Necropolis was originally supposed to release on PC mid-March. Bandai Namco (publisher for Dark Souls) got a look at it though and decided to release a console version this summer, and now the PC version is pushed back also. Hey, at least you’ll have Dark Souls III proper to tide you over.